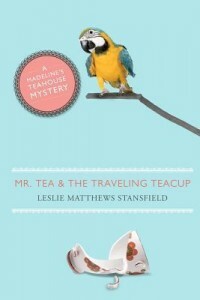 A haunted teahouse with a psychic macaw---what fun! The title doesn't sound like a cozy but the description sure does. I love reading cozy mysteries. And the cover is cute and simple. Thanks for having the giveaway. I love cozies, and this one sounds like a good read—thanks for the opportunity to win a copy!